Coming to you from the Iron City of Pittsburgh, in the 361st episode of the Iron City Rocks Podcast we talk to Tal Bergman of Rock Candy Funk Party, Miss Freddye and Shane Speal of Shane Speal and the Snakes. 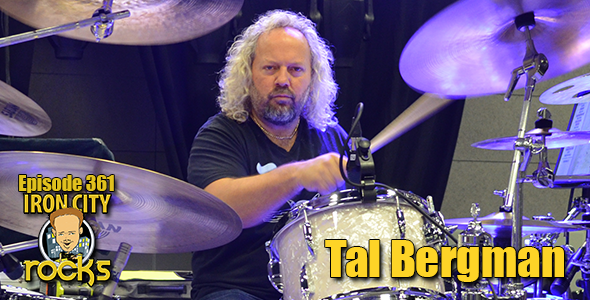 Tal talks with us about the latest Rock Candy Funk Party album, The Groove Cubed which features Tal as producer and drums, Joe Bonamassa and Ron DeJesus on guitars , and Mike Merritt on bass. Tal talks about making the album in a very tight time-window, how the songs come together, his role as producer and much more. We are joined by 2016 PMA (Pittsburgh Music Award) Blue Artist of the Year Miss Freddye to talks to us about her latest album Lady of the Blues. Finally we talk with Shane Speal of Shane Speal and the Snakes who is the founder of the Cigar Box Museum at Speal’s Tavern in New Alexandria, PA. Shane is a national known ambassador and master of the cigar box guitar.